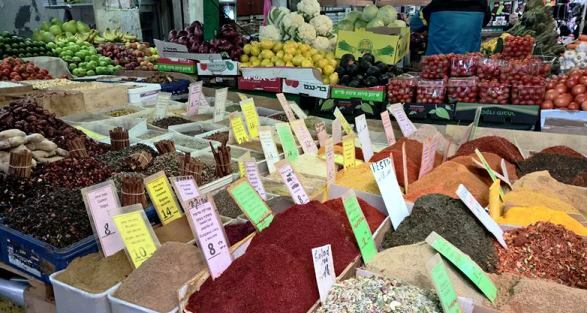 You haven't seen the real Tel Aviv if you haven't spent some time in Carmel Market Tel Aviv, or 'Shuk HaCarmel' as Israelis call it. 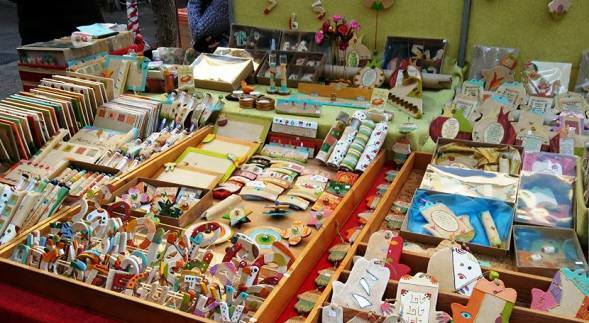 This authentic, colorful outdoor market is overflowing with food and merchandise stalls. The atmosphere is Israel's unique combination of east and west. The colors and scents. The hawkers singing jingles to persuade you to buy their sweetest fruit, crispiest burekas or fresh fish. Walk along Carmel Market, from one stall to another, tasting some cheese and herring with a fresh burekas hot from the oven, enjoy a freshly squeezed juice, until you finally choose where you'd like to sit and have a meal. There is great falafel in the market. Amazing Hummus. 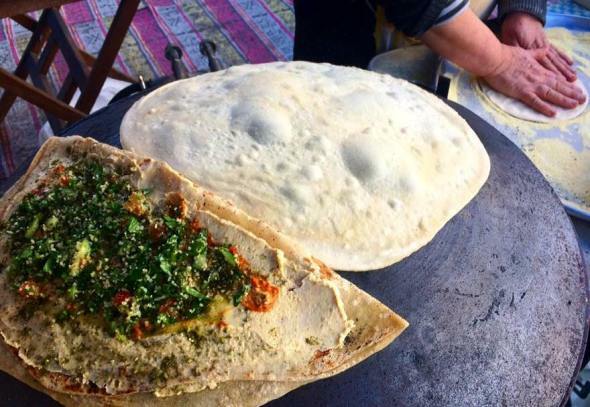 At one of the Druze stands, make sure to try the piping hot Druze flat pita bread fresh from the tabun oven, with hummus and zaatar (hyssop), or if you prefer, tangly labne yoghurt spread. 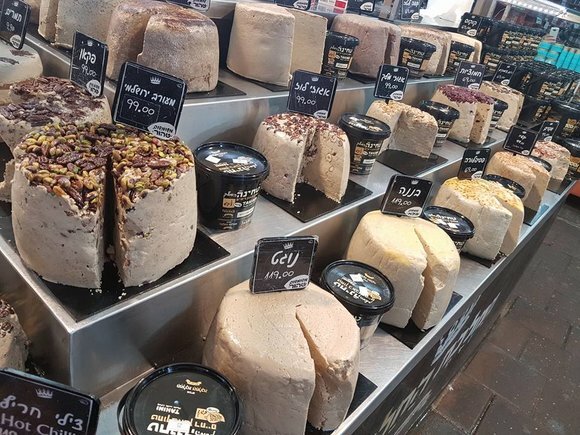 Carmel Market is the oldest and most popular food market in Tel Aviv. How did it start? Before World War I in around 1912, a few rich Russian Jewish families purchased a piece of empty land in Tel Aviv as a possible future investment. But, after the war, and as a result of the ‎Bolshevik Revolution, they found themselves in Palestine, penniless, without ‎jobs, and with no one interested in the land they had purchased. And so, in 1920, they pleaded with the City to allow them to open a few small stalls or “bastas” to sell food ‎and merchandise. This is how the market began less than ‎‎100 years ago!‎ Slowly, Carmel market prospered. 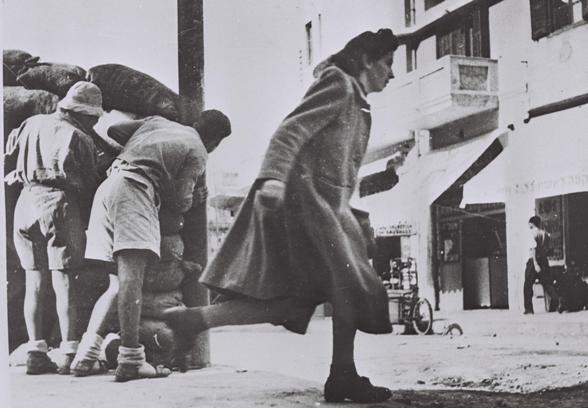 you can see Jewish shoppers at Carmel Market running for cover from Arab snipers from nearby Hassan Bak mosque. 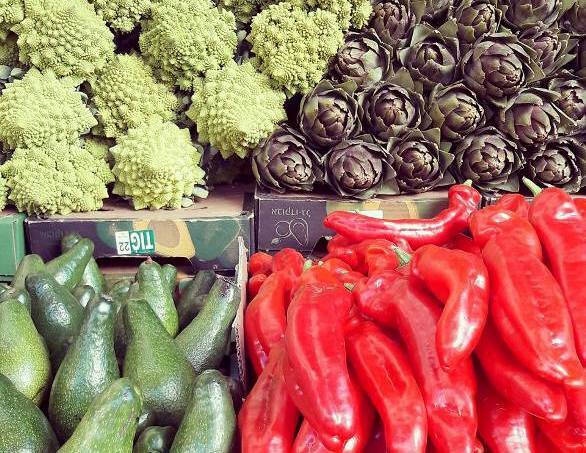 As you explore Carmel Market, you can't miss the diversity of food which reflects the incredible diversity of the country. 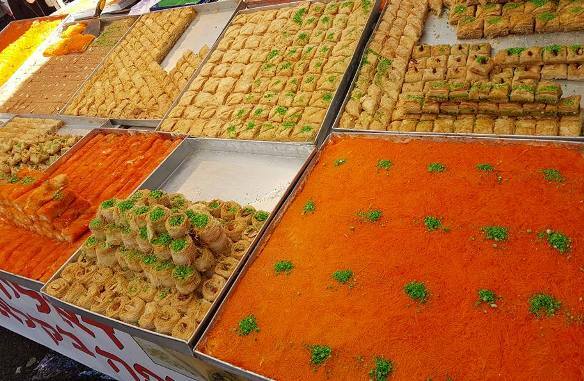 Israel is made up of a mixture of people who originate from over 90 countries with hundreds of regional cuisines!